I think I can safely say it’s been an incredible 12 months. Don’t take my word for it, we had 4 Apps of The Week, Number 1 apps in over 60 countries (including Books, Music and Games categories) and the chance to co-host a Tools of Change Ignite session... with myself. Publishing upped its game in 2011 with the UK closing the gap on the US in terms of digital publishing output (both origination and development) but we’re not there yet. A mere 20 months on from the launch of the iPad and many within publishing find themselves in a similar position to Apple’s rival device manufacturers. Samsung, HP, Sony & co stood back whilst Apple took the bold move to reveal a mass-market colour multitouch tablet. Many within publishing took a similar approach. The plan to sit back and wait for the concept to come crashing down around Steve Jobs’ ears was never a wise one. Apple were gifted an unchallenged trading year in 2010 and built on this unassailable lead with the release of iPad2 in 2011. We’ve spend the last 12 months working with some incredible individuals from the publishing world who took the decision to wholeheartedly embrace the future, rather than sit back then clamber over a forlorn hope. Some of our notable publishing partners-in-crime include Dan Franklin and Jon Salt from Random House, Charles Catton from Amber Books and Amanda Moon from Farrar, Straus & Giroux. Just like Dominique Raccah, Henry Volans and Charlie Melcher, they got on and made great stuff. It’s not too late to learn from this but the clock is ticking. Publishers who joined the ‘Apps will never catch on’ movement will always have ebooks to fall back on but we have entered an era where books are no longer the exclusive property of publishers. I’ve said it before and I’ll say it again – a developer can produce the next interactive War and a publisher could create the next Angry Birds. This is a level playing field. Roles and rules are changing fast as we work with clients across many areas, from music to TV to FIlm where they have access to the audio and visual content publishers crave but shy away from for rights issues. These content creators now want to work with publishers to weave an effective narrative into their projects. It’s time to get you all round a table and start talking. 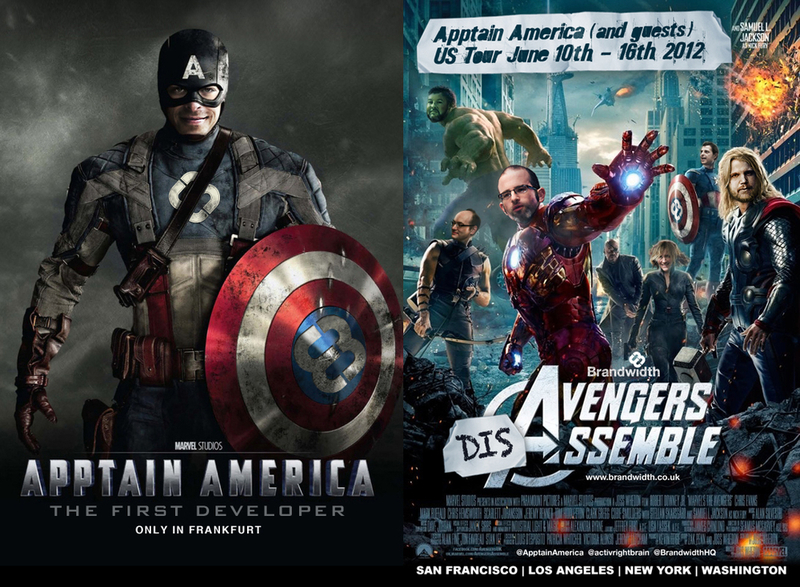 Speaking of speaking, I have spent 2011 telling the world about Brandwidth’s incredible end-to-end app programme and demonstrating the results. From London to New York via Bologna and Frankfurt, the message has remained the same – just get out there and make it happen. We’re not the flavour of the month (or the year) in the UK because we haven’t got a current story to tell about failure. We’ve had years to learn about what not to do, we’re now in the business of showing the world how to get it right. We don’t follow a template, we don’t build to the lowest common denominator and we don’t make everything spin. Our award-winning folio of apps is testament to design and build that adds sympathetic digital value to incredible content for the most appropriate audience. 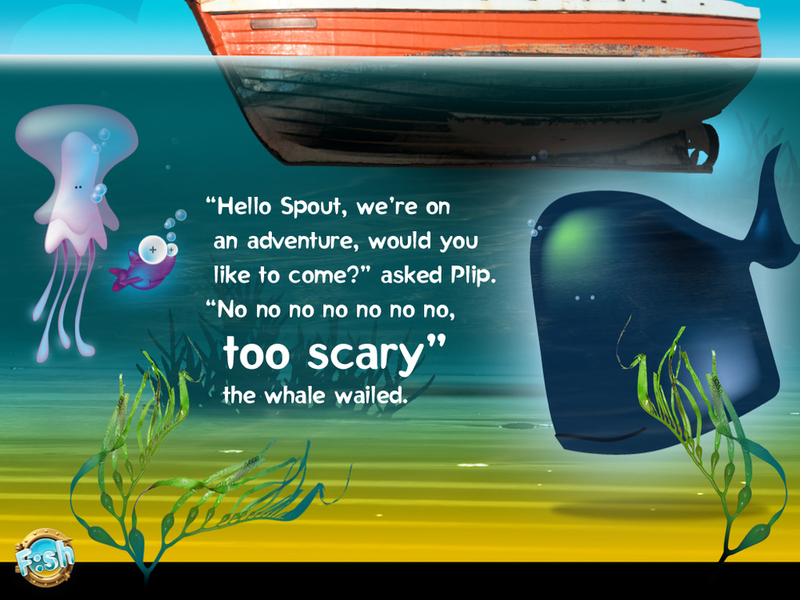 We launched Headspin: Storybook in October 2010, a popup book app published under Brandwidth’s own label, in the Games category. We combined the visual charm of the pop-up with a simple yet addictive gaming element to demonstrate how the digital format needs to add value. Apple thought we’d hit the mark and they chose Headspin as App of the Week and one of their ‘Best iPad Apps of 2010’, promoting it on every iPad in every Apple Store worldwide. Our second App of the Week was awarded to our second Guinness World Records: At Your Fingertips. We held the number one position for iPad Book app over Christmas and New Year in over 50 countries. A nice sequel to our original award-winning GWR app, launched on the same day as the iPad. 2011 saw our Top 100 Albums app launch for Amber Books and reach the top spot in the Music category, demonstrating that a book isn’t always a book... when it’s an app. We’ve continued to add life to this incredible project throughout 2011, with the latest update just in time for Christmas. Our summer release was under the Brandwidth label and I’ve covered this in a previous post. F:sh is a digital interpretation of the children’s book and we played with accelerometer control, the integrated camera and audio interaction, combined with one continuous scene to break with the convention of ‘regular’ page turning. September saw the launch of Journey to The Exoplanets for FSG/Scientific American. We were presented with an opportunity to combine the in-depth knowledge of author Ed Bell and Ron Miller’s incredible illustrations. The result was an app that took the basic elements of a reference book but brought the concept to life with the ability to create your own Exoplanet or place yourself on a planet’s surface, whilst retaining the original 10,000 word reading experience. App of the Week status, a number one hit in the US and UK, a Lovie Award and FWA App of The Day were proof that there’s life in the space category yet! 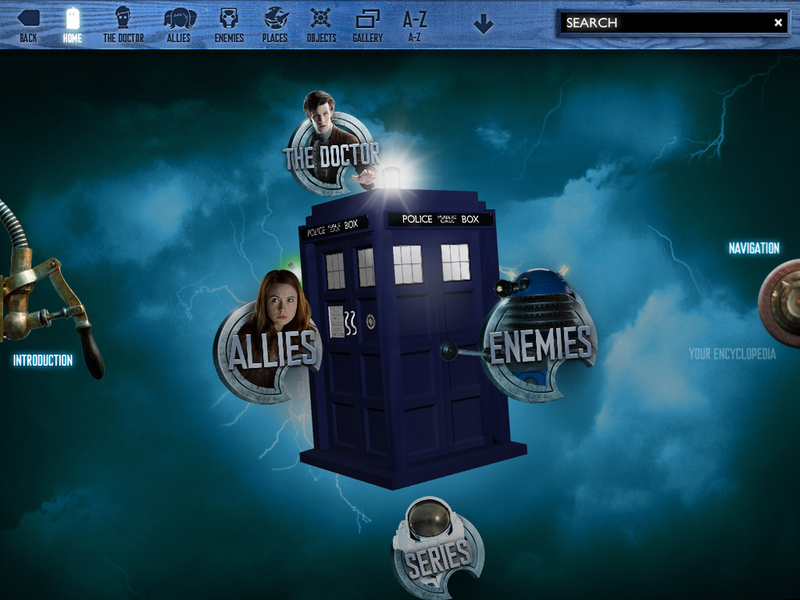 Our next launch, another App of the Week, was the spectacular Doctor Who Encyclopedia for Random House and BBC Books. 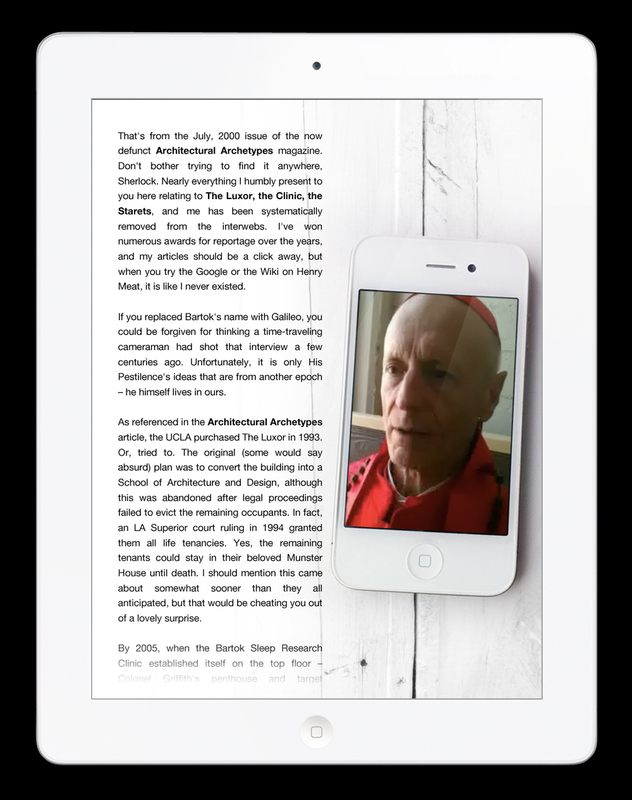 We once again proved there’s enormous potential within digital reference material, with over 3,000 entries contained within the ultimate interactive resource for the last three Doctors. There are some fun updates to follow in 2012. We rounded the year off with a bit of iPhone fun (unless you’re not a fan) with our Michael Bublé Christmas App for Warner Music. Don’t hold it against us, apps provide a valuable link to downloadable content and we’re in the marketing business. If you’re not yet convinced apps are here to stay then ask yourself “do we need software?” If the answer is “no” then you’re blissfully unaware of the world around you. Apps are a form of packaging for software, the platforms provide the delivery mechanism, the hardware offers a place to live – or a virtual bookshelf. So, what’s next? Automotive, finance and music apps are all on the books for 2012, with plenty of publishing thrown in. Too much focus in any one area results in virtual blinkers and these diverse sectors have a lot to learn from each other as they’ll all be competing for the same territory next year. We’re very excited about the potential for The Numinous Place, our first foray into the world of enhanced fiction. We’re working with Mark Staufer to bring his novel to life in ways that appeal to keen readers, experienced app users and cinema-goers. No mean feat but an incredible challenge nonetheless. You’ll also witness apps making a successful transition to the big screen, or at least the bigger screen. 2012 is the year TV becomes relevant again. I’m not merely referring to watching TV as we’re already doing this across a number of mobile devices and PCs, I’m talking about the main screen at the centre of the house, the one we all used to sit around. Connected TV will provide a seamless path to and from the big box. We’ll discover apps on mobile devices that offer additional enhancement when used with a TV. We’ll also discover apps via TV programmes providing either connected interactivity or download opportunities with the ability to sync to other mobile devices for use later. Both Apple and Google are on the case to make this work, however the relevant market for paid-for content will remain on Apple’s iOS devices for the foreseeable future. There, I said it – discoverability. As TV ads receive less viewers (we all FFWD through them) and sponsored programming offers little more than a branding opportunity, there needs to be another path to consumers. Get ready for app icons to replace the familiar ‘red button’ in the corner of a screen and brace yourselves for icons embedded within your EPG. Now tell me apps won’t last and they can all be replaced with links to HTML5 websites. Appy Christmas.